There are a bunch of guides out there about how to get started with Bitcoin. They’re all pretty good. This one is just a bit more keyed to Dum Dum Dugans like me who are a bit slow when it comes to computer stuff. Most guides seem to have this convoluted mess of links and redundant info. When I started, I wanted one page, a few easy steps and reassuring and friendly words—but not too many of them. So, if you have a general idea of what Bitcoin is and you’re curious to try it out but don’t know how to get started, just follow these steps and you’ll be fine. WHY DO I WANT TO USE BITCOIN? First and best question to ask. You use bitcoin (bitcoin the currency, as opposed to Bitcoin the protocol) to transfer money, or in other words, pay for stuff. You don’t have to stop off at the bank, pay for yearly or monthly plans, rely on credit or own a safe. You can just send money to whoever wherever, fast and cheap and all you need is to remember a password or two. Choose a Bitcoin wallet and get that Bitcoin wallet. HOW DO I CHOOSE A BITCOIN WALLET? Online and always with the same computer. Get a desktop wallet. Electrum is highly recommended and easy for beginners. Go to the download section, choose a standard wallet if you really want to keep it simple, but the two-factor identification option is pretty easy to figure out and more secure. Online and will switch computer or device often. 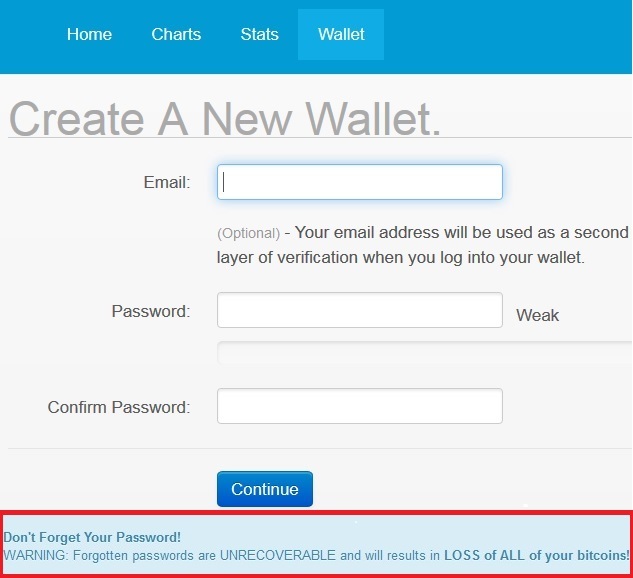 Get an online wallet. When I started, I used blockchain.info. Watch the video on the front page if you want, click on “Start a New Wallet” and you’ll have a wallet faster than you can make a Facebook account. Online or in person (at the candy store, for example). I had an Android smartphone and used Mycelium. Never had any trouble. Just had to make sure I wrote down on paper or remembered the six digit code for sending payments. 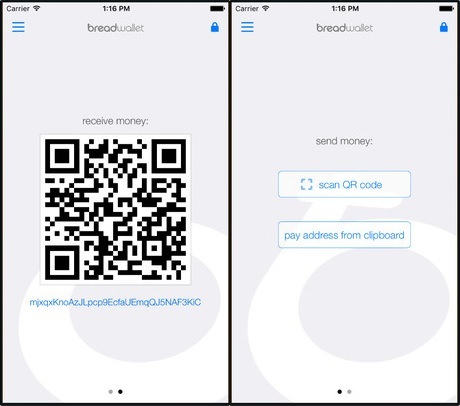 As for Apple users, hearsay says Breadwallet is the best. Bam. Boom. You’ve got a wallet. Now you will minimally have two long strings of random letters and numbers. One is your private key and the other is your public address. You can give your public address to anyone who is going to give you money. Your private key should stay secret because you need it to spend your bitcoin. No one else must ever see your private key. It is between you and the blockchain. You need to protect it with strong, long randomized passwords. Don’t store the passwords online, print them or even keep them on your computer or device. Your best bet is to write thrm down on a piece of paper and keep that paper safe. HOW DO I EXCHANGE CASH FOR BITCOIN? give them the money and my wallet’s public address. That’s my favorite way. I recommend finding a brick-and-mortar place in your town that has friendly people you can deal with directly (Coin Cafe in New York City is one example). See if there’s a Bitcoin Embassy near you or just do a search for bitcoin exchanges in you city. If your wallet is on your phone, show them the QR code generated by your wallet to receive. If you can’t show them a QR code, you’ll have to write down your entire public address. Bam. Boom. I have bitcoin in my wallet, ready to spend. The Coin ATM Radar will help you find the nearest one. 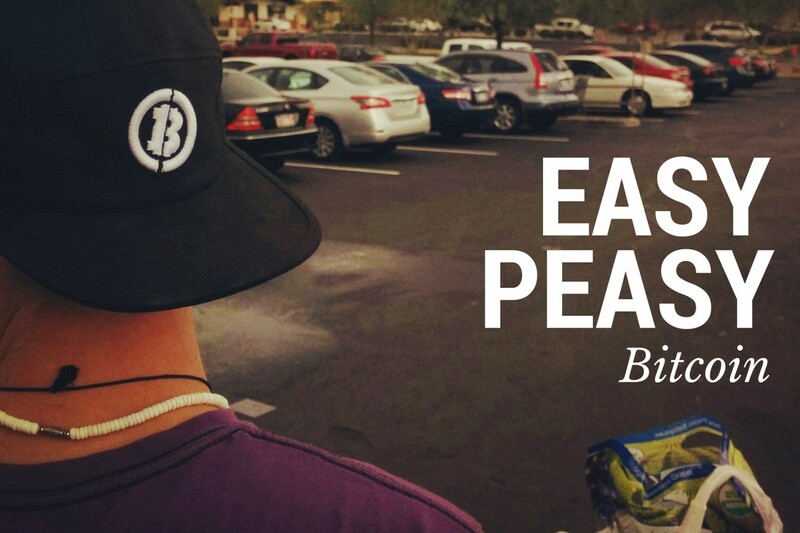 They’re popping up everywhere so you’re likely to find one near you. I don’t recommend carrying large amounts of cash. Let the machine scan your QR code. Put the cash in the machine. Coinbase is the most popular and reputedly has bank level security. It’s based in USD but you can trade in whatever currency your country uses. Fund it from your bank account by supplying the necessary information (make sure the site is secure). 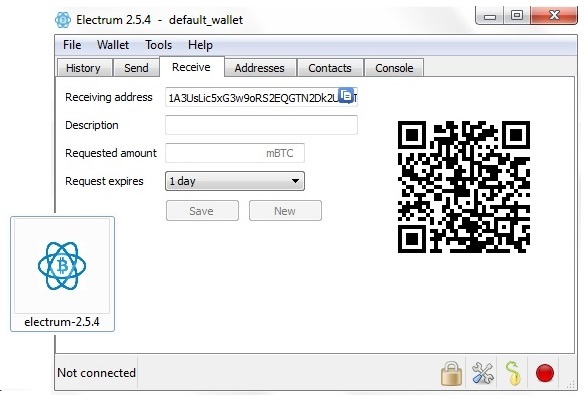 Transfer the bitcoin to your wallet by giving them your public address. I avoid online exchanges as much as possible because of the inherent risks of leaving your money online outside of your own wallet. It also forces you to go through your bank or credit card, which defeats the purpose, no? Essentially you should just get the transaction done with as soon as possible. HOW DO I EXCHANGE BITCOIN FOR CASH? Same ways as previous question, except now you scan the QR code or copy the public address of whoever is going to give you cash for your bitcoin. 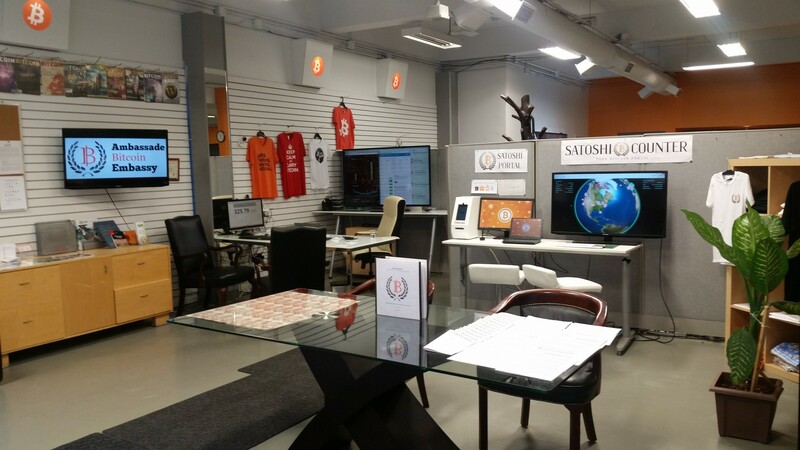 In person in a registered establishment like a Bitcoin Embassy is the fastest and safest way. Not all Bitcoin ATMs allow for crypto-to-cash exchanges. 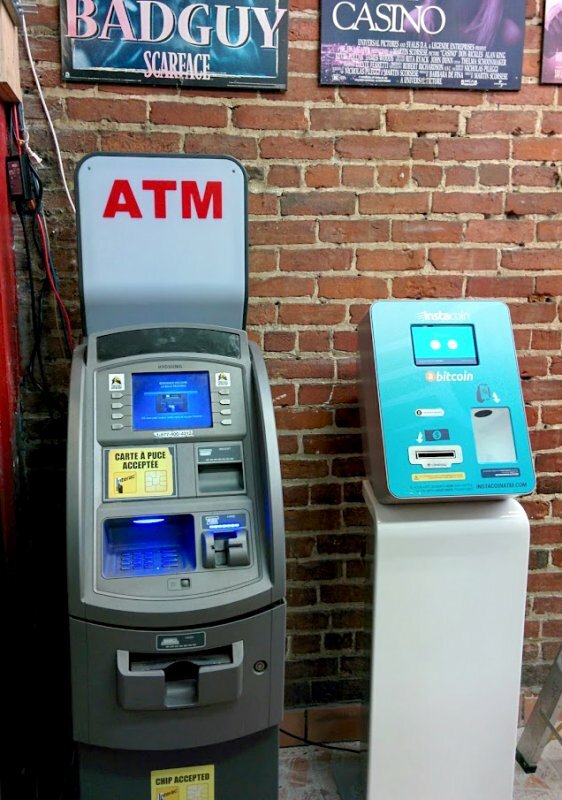 Coin ATM Radar lets you know which ATMs work both ways. With an online exchange, you will have to send the money to your bank account, which may take a bit more time. I’ve had to wait anywhere from hours to weeks to get my money (really not my favorite method…). Find a vender who accepts them. Select an item to purchase (say, Twizzlers). Scan their QR with your mobile wallet. Wait for the money to appear in the merchant’s wallet. Eat your Twizzlers (bite off both ends and use as straw for soda). 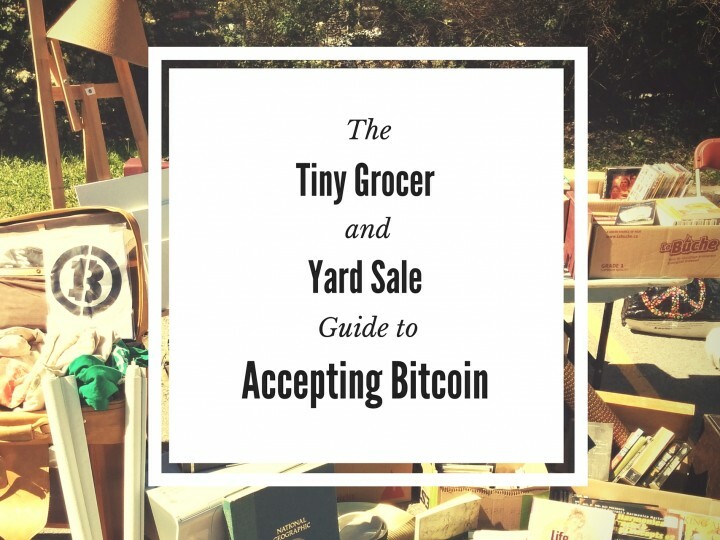 The vast majority of merchants still don’t accept Bitcoin, but if you look hard enough, you might be surprised when you find that the random cornershop a few blocks down takes them. I don’t know what it’s like in other parts of the world, but the Bitcoin Embassy in Montréal and its avid employees have influenced many surrounding merchants to start accepting them just by making it clear they’ll give them all their business if they do. Find an online store that accepts Bitcoin. Select an item to purchase (say, a Bitcoin hoodie). Go to checkout and select Bitcoin as your mode of payment. 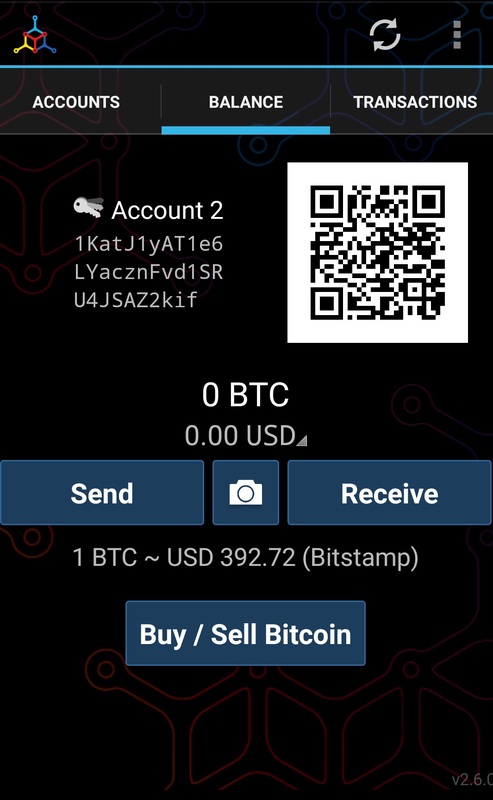 Scan their QR code with your mobile wallet or copy their public address into your wallet. Wait for your t-shirt in the mail.